Over the years, the landscape for locum pharmacists has become more competitive. This year, there were 55,258 registered pharmacists in Great Britain alone. So it is important that locums are able to stand out in such a challenging arena. In order to recruit a locum, a pharmacy may rely upon their accreditation training to gauge whether they have the necessary credentials required to fill the position. So why is accreditation important? 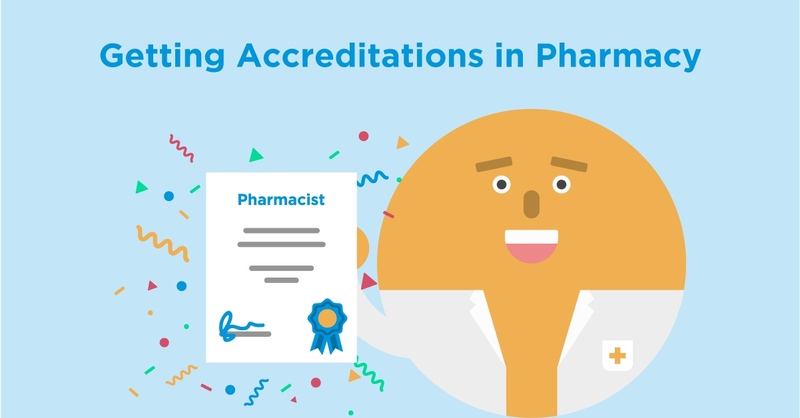 Accreditation ensures that pharmacists are providing the same standards of services across the industry. It provides reassurance to the employer that the locum is competent in doing their job. There are a number of ways in which accreditation can be carried out. Online/distance learning - Allows locums to study around work and other commitments. Live workshops - Useful for networking and gaining instant clarity from tutors. In-house training - Some larger organisations offer in-house training to locum staff. Below is a list of mandatory accreditations that must be completed before one can look to practice as a locum pharmacist. Medicine Use Review (MUR) - The aim of this accreditation is to empower pharmacists with the training to review and improve patient compliance and experience of using their medicine. New Medicine Service (NMS) - This training seeks to teach locums how to support patients that have been prescribed new medicine to treat a long-term illness for the first time. Repeat Dispensing - Approximately two-thirds of items dispensed in the community are repeat prescriptions. This accreditation enables locums to dispense regular medicines to particular patients without the need for a GP’s presence. Safeguarding Children and Vulnerable Adults Level 2 - This accreditation allows the learner to recognise abuse, the steps to take and legislation surrounding this area. Become a dementia friend - Alzheimer’s Society’s Dementia Friends programme is an initiative designed to challenge people’s perceptions of dementia. It is hoped that training will improve the service offered to customers living with dementia, which can make all the difference to that person’s day. It is key to remember that the pharmacy is a business seeking to make a profit, being able to offer additional services to their customers through accreditation will be an attractive incentive for any employer. Flu Vaccination Training In terms of a locums clinical expertise, it’s simply an excellent accreditation to have. It provides extra value pharmacies as well as patients. Emergency Hormonal Contraception (EHC) Again, not mandatory but an extremely useful accreditation to have. It will allow locums to advise and support customers on a wide variety of contraceptives and their uses.